Richard can currently be seen as the Concierge welcoming guests in the NowTV commercial - watch it here. 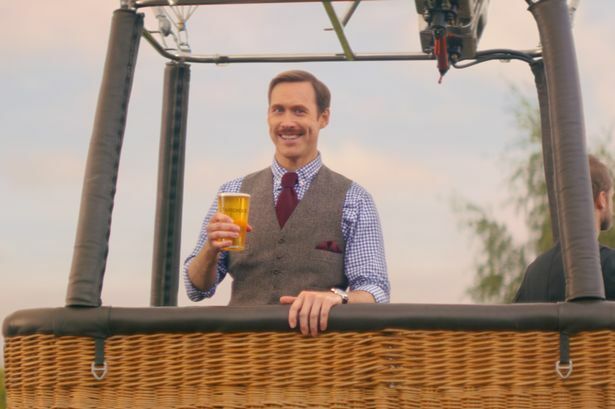 He can also be seen on TV and Cinema Screens as the Spokesperson for "THATCHER'S CIDER" - and has just filmed a scene opposite ANDI MACDOWELL for "CUCKOO" - Series 5. ​Richard can be heard as the voice of ARCHER in the computer game ELITE DANGEROUS. Richard Ede as the Concierge in the current NowTV campaign. Richard Ede in the latest "THATCHER'S CIDER" campaign. Richard Ede as Peter Kurten in "Normal"
ALADDIN "A first class dame"
"Richard Ede's excellent Twanky is a real asset. a lusty, beehived redhead with a wicked glint in the eye, whose partnership with Fred Broom's dopey Emperor produces some of the show's funniest moments." "Richard Ede as Hannay, the main character ... is effortless and charming and definitely one to watch for the future." Click here to read Richard's interview on Much Ado About Nothing with Time Out Beijing.